RADEON 7500 is a powerful and versatile graphic solution. 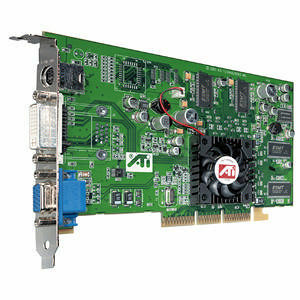 64MB of powerful DDR memory along with the RADEON 7500 GPU provides high performance acceleration of today's demanding 3D graphic applications. Industry leading DVD playback, support for dual independent displays, and support for digital flat panel (DVI-I) monitors meet the needs of a wide range of home and business graphic users.